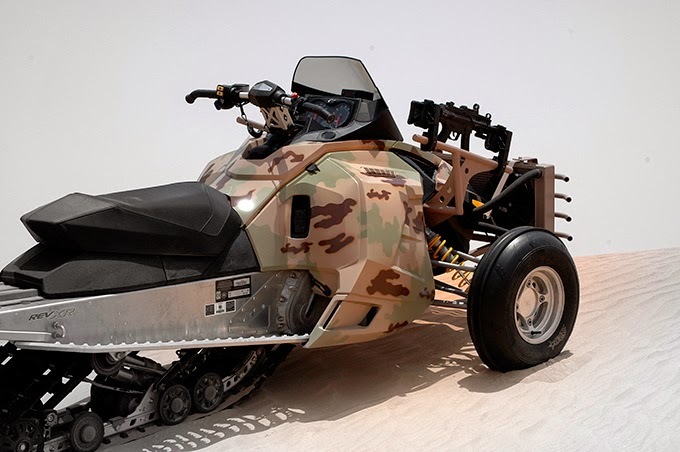 An all-terrain vehicle that employs tracks on its rear section is to be distributed in the Middle East and Africa by the Streit Group and Sand-X. 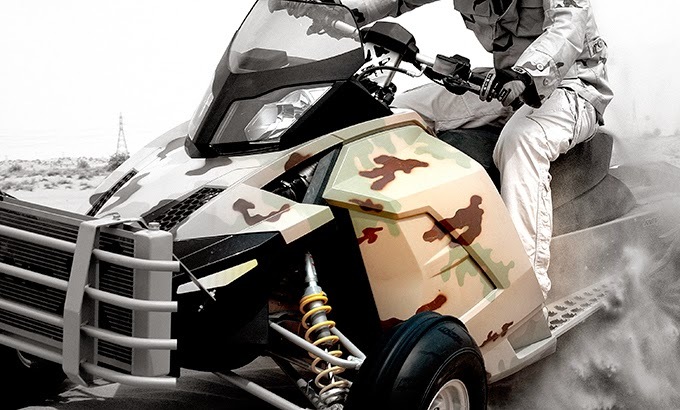 The two companies, under a strategic partnership, also plan to manufacture an armored variant of Sand-X's T-ATV 1200. 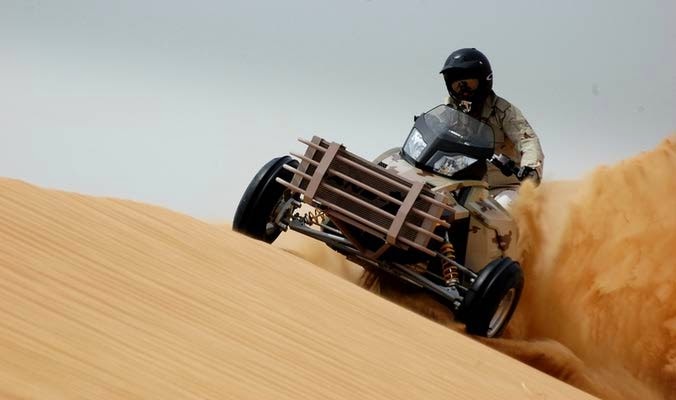 "We are delighted to collaborate with Sand-X Motors; the vehicle is a truly unique and exciting product, said Guerman Goutorov, chairman of Streit Group, which is headquarted in the United Arab Emirates. "Our vision has always been to be a world leader in the security market by providing our customers with the latest advanced engineering & technology adapted to the security & defense market. "With our newly extended production and training facilities in UAE we are not only be able to meet production volumes but also will be able to provide a range of specifically designed training courses for the armored and unarmored Sand-X T-ATV together with our extended range of APC's and MRAP courses." 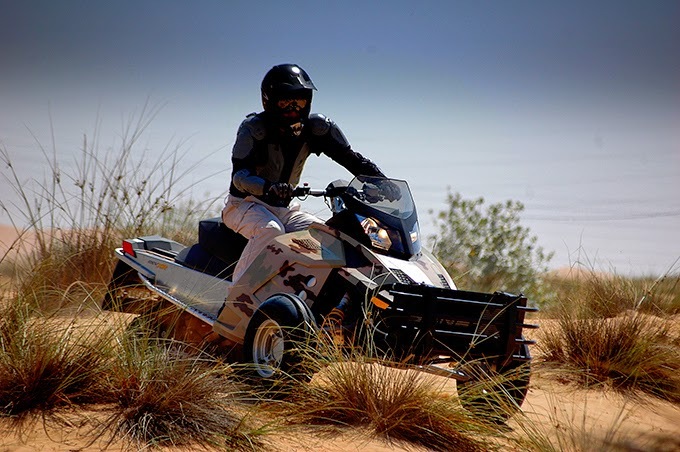 Sand-X is a Swiss company with an operation in the UAE. 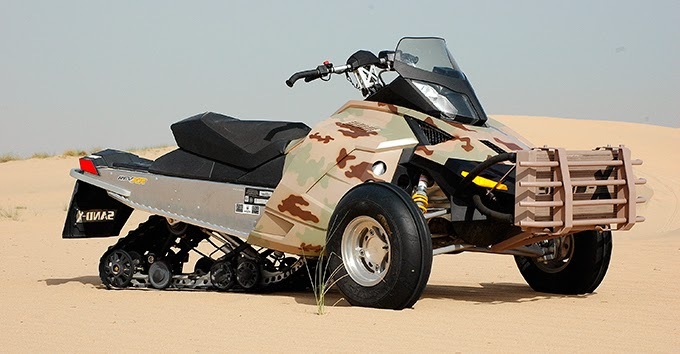 It says the ATV features a Rotax four-stroke, fuel-injected engine and can reach a speed of 115 mph. "We are pleased to work in partnership and R&D cooperation with Streit Group," said Urs Eiselin, chief executive officer of Sand–X. 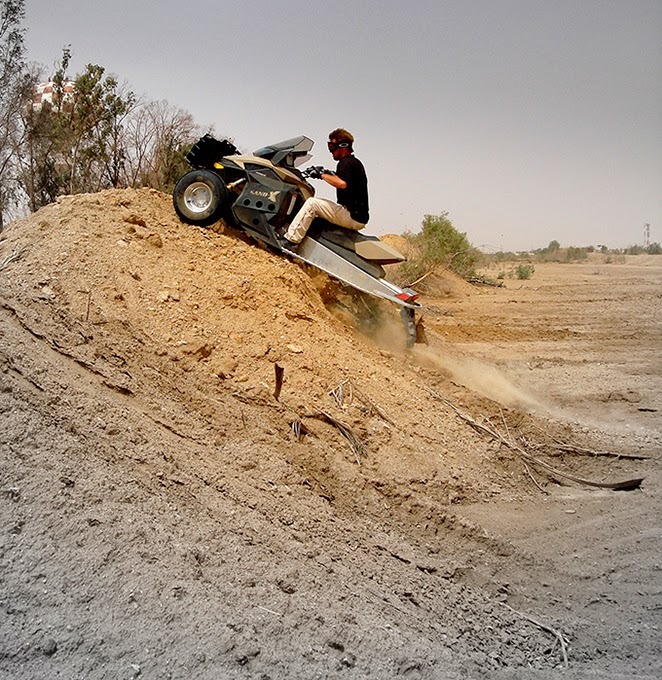 "Their extensive experience within the international security and defense market will be the best ambassador and technology partner for Sand-X Motors and allow us to achieve continued success"